Savant and Control4 offers total climate control for any residential setting or commercial project. Their climate control products enable precision environment control and provide the ultimate benefits in comfortable living and energy conservation. 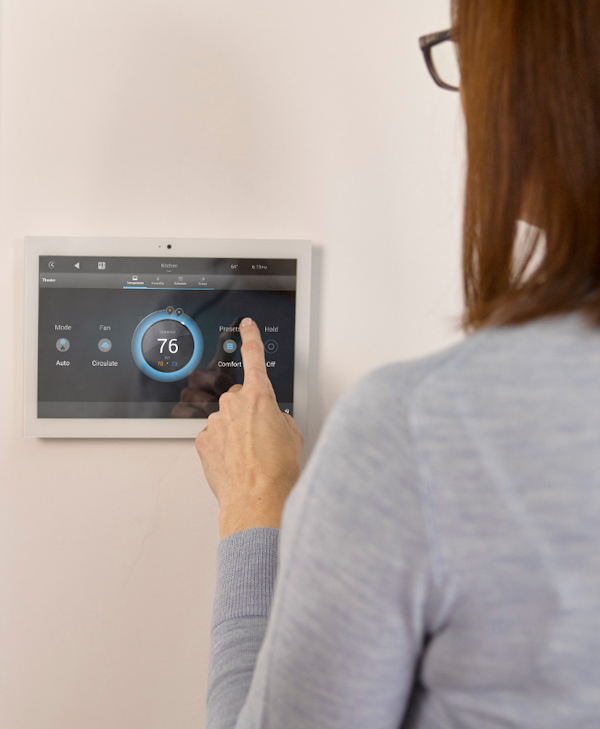 As part of a complete control and energy management system, sophisticated wireless thermostat and remote sensors allow for resourceful automated temperature management that can help to lower utility costs and maximize energy efficiencies throughout a home or building. Through Savant’s TrueControl iPad app, the HVAC Scheduler feature allows users to quickly create their own climate schedules based on time of day, month of year or annual events including season change, temperature and humidity. Cropping, adding, deleting and viewing HVAC schedules is simple and clear. Moreover, creating cooling and heating set points based on event times is easily accomplished by “dragging” a temperature set point to the specific time of day.